As Saudi Arabia’s two-year-long war with Yemen continues, the Department of Defense announced a new $600 million contract for 40 Sikorsky Black Hawk helicopters to be sold to Saudi Arabia. Sikorsky is a wholly owned subsidiary of Lockheed Martin. Both Saudi Arabia and Lockheed are represented by Howard “Buck” McKeon, a former GOP congressman turned lobbyist. Lockheed has been paying the lobbying firm McKeon Group $30,000 a quarter since mid-last year to lobby on its behalf in DC. The group is headed by McKeon, who represented California’s 25th district from 1993 to 2015. During his last four years in office, he chaired the House Armed Services Committee, the body responsible for funding and overseeing the Department of Defense. Since leaving Congress, McKeon has begun a lucrative lobbying career focusing on defense contractors, who were his primary donors throughout his time in Congress. Over the course of his career, his five biggest contributors were Lockheed Martin, Northrop Grumman, General Atomics, General Dynamics and Boeing. Those companies’ employees and PACs gave McKeon $700,000 in campaign contributions. Now he lobbies for Lockheed, General Dynamics and several smaller defense players. But McKeon doesn’t limit his lobbying work to defense companies. He also works on behalf of foreign governments. On November 16, a week after President Donald Trump’s election victory, McKeon’s lobbying firm registered with the Department of Justice as a foreign agent of the government of Saudi Arabia. McKeon and representatives of his firm declined to comment for this article. On behalf of the Kingdom, McKeon has lobbied several members of Congress on arms sales, according to documents filed with the Department of Justice. Between November and May, his firm received at least $70,000 for its efforts. 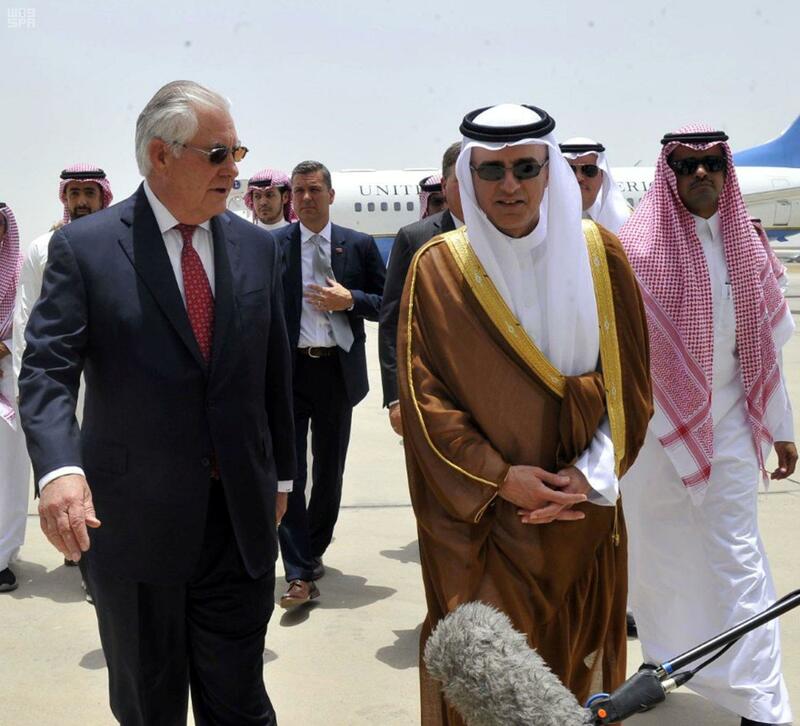 McKeon’s point of contact with Saudi Arabia is Minister of Foreign Affairs Adel al-Jubeir, who was visited by Sectretary of State Rex Tillerson on Wednesday. In May, Trump announced a $110 billion arms package to be sold to Saudi Arabia over the next 10 years. Only a small portion of those sales have received Senate approval, which is necessary for any foreign military sale. McKeon is tasked by Saudi Arabia with helping to clear any Senate hurdles. Arms deals to Saudi Arabia have become increasingly fraught due to the country’s dismal domestic human rights record and ongoing war with neighboring Yemen. Several amendments aiming to limit military support for Saudi Arabia have been put forward on this year’s National Defense Authorization Act (NDAA), the annual bill that sets defense policy. Rep. Ro Khanna (D-CA) submitted multiple amendments. One would prohibit the U.S. from providing funding or logistical support for aerial refueling, which enables the Saudi-led coalition’s constant bombardment of Yemen. Another would limit air-to-ground munitions being sold to the coalition. Republicans have also registered their objections. An amendment from Rep. Warren Davidson (R-OH) would prohibit taxpayer dollars to be spent on U.S. military operations in Yemen. Rep. Justin Amash (R-MI) put forward an amendment specifically preventing cluster munitions from being transferred to Saudi Arabia. The only item for which Lockheed hired McKeon to lobby on is the NDAA, which all of the above amendments are attached to. McKeon works closely with Glover Park Group, a DC-based PR firm headed by Michael Feldman, a former senior advisor to Al Gore. Feldman co-founded Glover with Joe Lockhart, a White House Press Secretary for Bill Clinton and an advisor on John Kerry’s failed 2004 presidential run. Glover is also registered with the Department of Justice as a foreign agent of Saudi Arabia. Records appear to show that McKeon's work on behalf of the Kingdom is done as a paid consultant for Glover. Filings with the Department of Justice show that late last year, Glover representatives spoke on behalf of Saudi Arabia with Bob Simmons, the staff director for the House Armed Services Committee, about the NDAA. Saudi Arabia’s interest in the NDAA would be over provisions such as the amendments that would curb U.S. military sales and logistical support. Simmons, meanwhile, has since left the Armed Services Committee to work as the vice president of government operations at Boeing. Along with Raytheon and Kaman, Boeing was the big winner in a narrowly approved (53-47) Senate vote last month to sell over $500 million worth of precision-guided munitions (PGM) to Saudi Arabia. PGM could in theory be used to pinpoint Saudi airstrikes to avoid hitting civilians. However, the Saudi military has a history of doing the opposite and targeting schools, hospitals, and markets — something members of Congress on both sides of the aisle have criticized the nation for. and Dan Sullivan (AK). 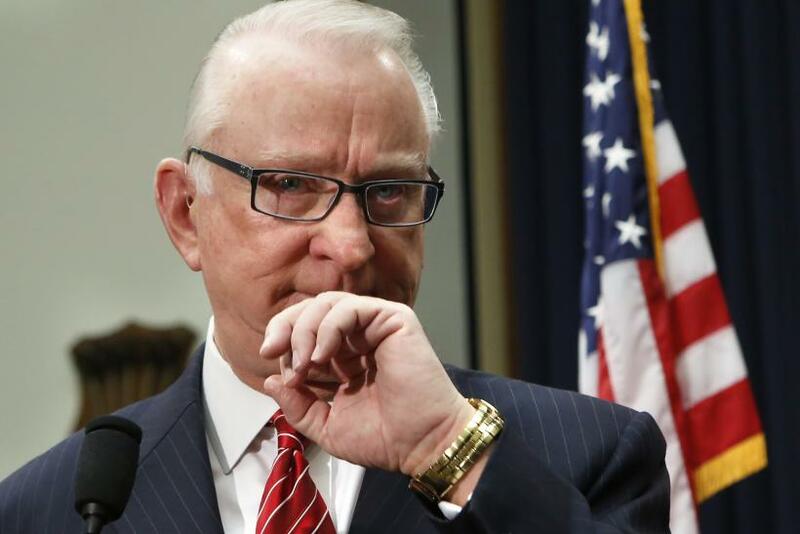 All those senators except for Lee voted to approve the sale: McKeon’s lobbying efforts possibly flipped the outcome. It is also possible that McKeon spoke with more senators between May 15, when his filings end, and June 13, when the vote on the PGM sale took place. In the months leading up to the vote, Fischer also received $3,000 in campaign contributions from Boeing toward her 2018 reelection. Lockheed has contributed $3,000 to Fischer since March. On the same day that Fischer received the third of Lockheed's $1,000 contributions in March and April, Sasse also received a $1,000 Lockheed contribution. In late April, McKeon met with Mac Thornberry (R-TX), who took over McKeon’s position as chair of the House Armed Services Committee, to discuss the PGM sale to Saudi Arabia. The committee is currently reviewing proposed amendments to the NDAA. Lockheed gave $1,000 to Thornberry’s reelection in March. At least 4,773 Yemeni civilians have been killed directly by munitions in the Saudi-led war, according to the latest available estimates from the United Nations in late March. But when counting deaths due to disease and famine caused by the war, the figure rises to over 10,000. The country is currently facing a humanitarian crisis exacerbated by the Saudi coalition blockade that prevents food and humanitarian aid from reaching civilians, creating a widespread famine. Approximately 90 percent of Yemen’s food is imported, as most of the country is arid and water is in short supply. According to the human rights organization Save the Children, 18.8 million people in Yemen, of whom 10.3 million are children, urgently require humanitarian aid. Approximately 17 million people are food insecure and 14.5 million lack access to clean water and sanitation, driving a cholera outbreak that has killed 1,700 people since late April. 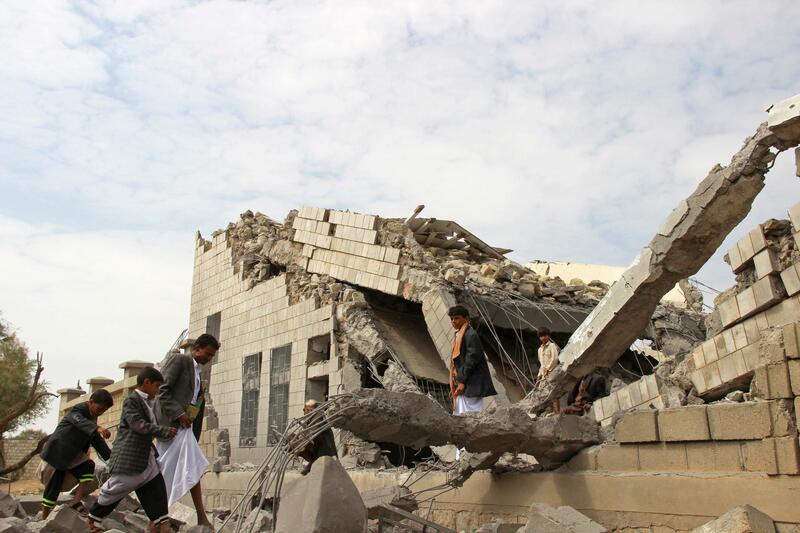 “Every day in Yemen we see the terrible human cost of arms sales when children are killed and maimed, or their homes and schools are bombed to rubble,” Alun McDonald, Save the Children’s communications director in the Middle East, told IBT by email. “The Saudi-led coalition has repeatedly used these weapons in violation of international law and children make up about one third of civilian casualties.